Negotiations are underway to bring Masterchef to WA. MASTERCHEF could be headed for Western Australia in the latest bid to attract tourists to the state. 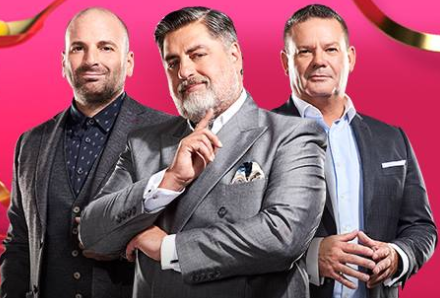 Negotiations are reportedly underway with the producers of the television show to bring 85 people to WA including the contestants, judges and crew. Premier Mark McGowan would not confirm the reported $1.2 million price tag but said the state government’s goal was to attract more events and marketing opportunities to WA. “It’s innovative and, to be fair, compared to a TV advertising campaign it’s relatively affordable,” he told 6PR radio on Wednesday. Mr McGowan noted MasterChef Australia was the second highest rating show in India, which he said was an important tourism market for the state. It follows other tourism initiatives including bringing the Manchester United soccer team to WA, direct flights from Japan and Chris Hemsworth’s hugely popular quokka selfie on social media. Advertising, which accounts for the majority of the company’s sales, fell 3.2 per cent to $595.2 million for the half.